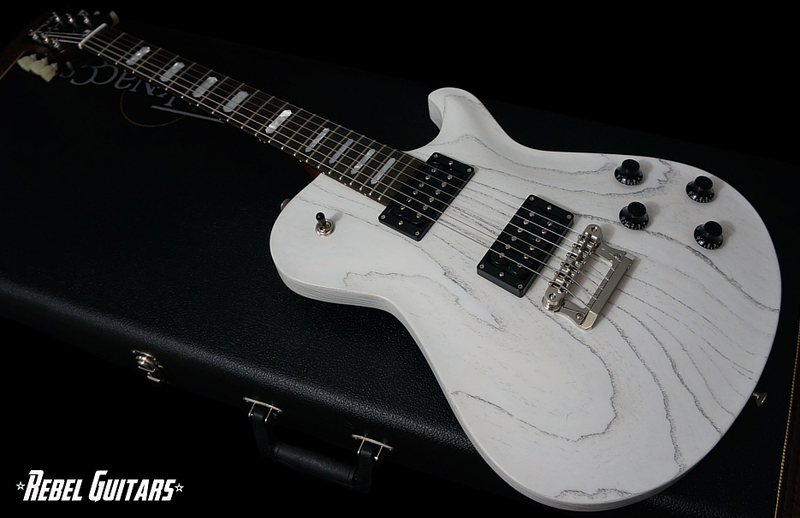 The Knaggs Influence Kenai model is a single cutaway with a carved top and back, three on a side headstock, and a 24.75″ scale. 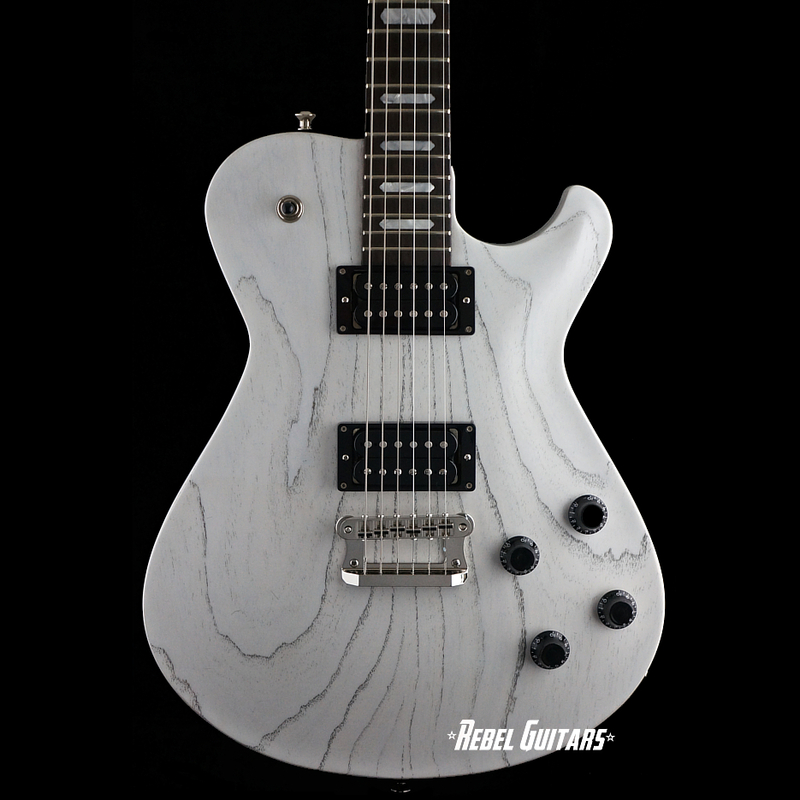 Designed and built by famed builder Joe Knaggs, the Kenai features a Curly Maple setneck design, a Mahogany body and carved Maple top, two humbuckers and Knaggs’ proprietary Influence hard-tail designed to allow for increased string vibration and sustain. 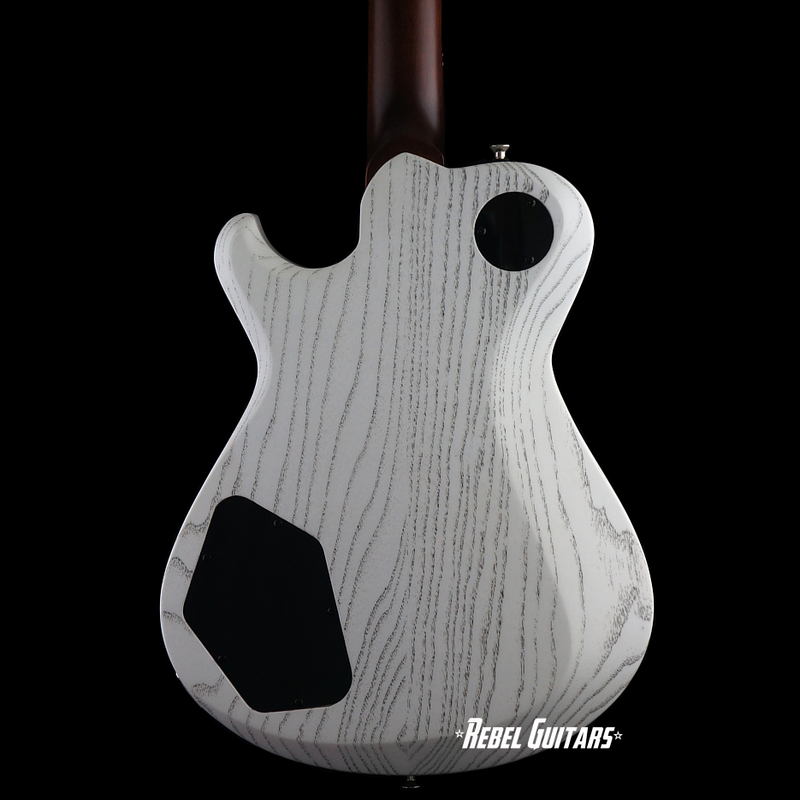 Like all Knaggs models, the Kenai is available in three tiers and a variety of color options. 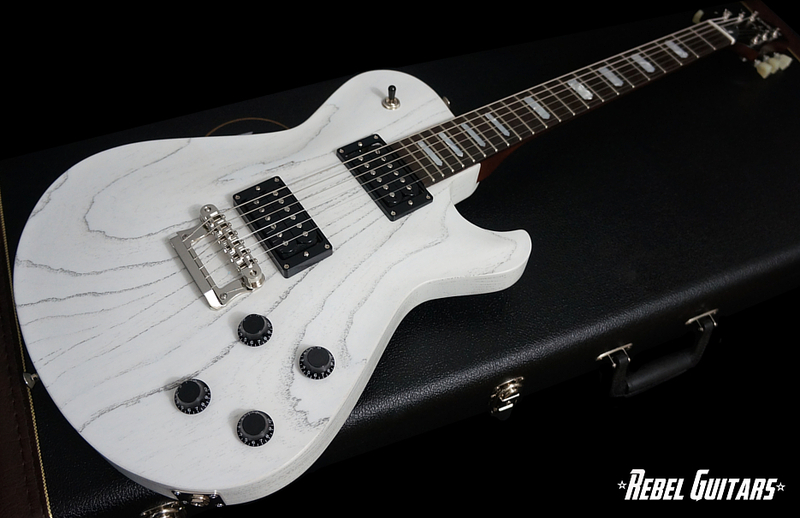 This T3 Kenai features a White Drift finish over a Swamp Ash body, Mahogany neck, Macassar Ebony fretboard and block inlays.